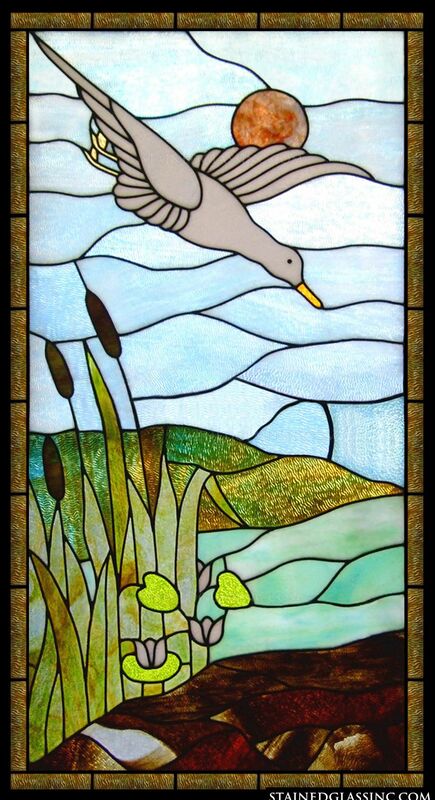 A blue sky with an orange glowing sun is interrupted by a grey duck plunging down toward turquoise green waters. 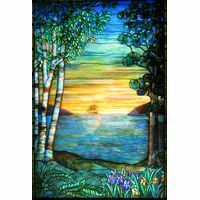 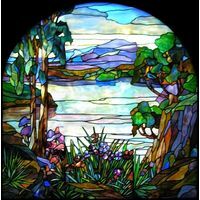 Reeds and other greenery grow at the bank alongside the water in this beautiful stained glass window. 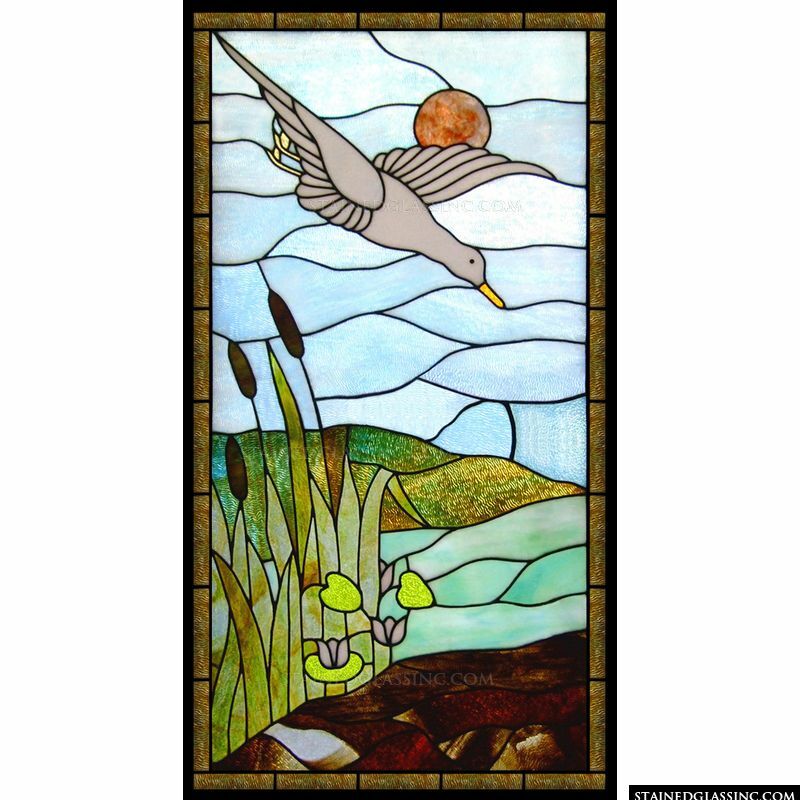 This piece would fit perfectly in a rustic style home, office, retail store or restaurant. 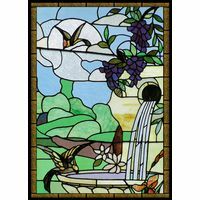 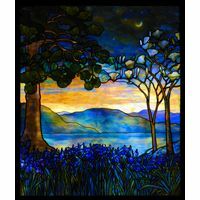 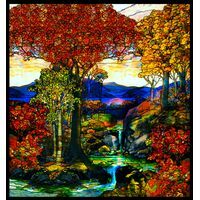 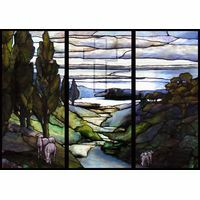 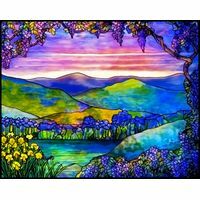 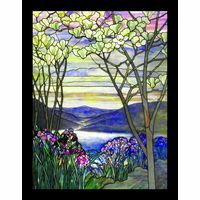 Enjoy the benefits of stained glass art and enrich your space with this decorative window panel.